The decision to ask a citizenship question on the census may seem an obscure matter, but it could give the Trump administration another level to shift power and federal resources away from blue states toward red ones. WASHINGTON — The Trump administration’s plan to ask everyone in America whether they are U.S. citizens as part of the 2020 census could cost California billions of dollars and a seat in Congress, state officials warn. Whether California and other big, urban states that face similar effects can do anything about it remains to be seen. The decision to ask a citizenship question on the census, which the administration announced late Monday night, may seem an obscure matter, but it could give the Trump administration another level to shift power and federal resources away from blue states toward red ones, much as happened with the recent tax law changes that disproportionately favored voters in Republican regions. The census, which takes place every 10 years, hasn’t asked about citizenship since 1950. That’s in large part because of the concern that asking the question would discourage not just noncitizens but also their families from participating. The result could be a significant undercount of the population in states with large numbers of immigrants, such as California. Most of those states have Democratic majorities, while most of the nation’s majority-Republican states have relatively smaller immigrant populations. The main purpose of the $12.5 billion census effort is to get an accurate count of population for divvying up U.S. House seats among the states. The count also drives how the government distributes money from some of its biggest programs, such as Medicaid. California wasted no time launching a fight against the administration’s announcement, taking the administration to court Monday night. “The state of California, in particular, stands to lose if the citizenship question is included,” said the complaint filed by state Attorney General Xavier Becerra in federal district court in San Francisco. “It is long settled that all persons residing in the United States — citizens and noncitizens alike — must be counted to fulfill the Constitution’s ‘actual Enumeration’ mandate,” the complaint says. Trump’s Department of Justice had asked to have the citizenship question included, saying the information was critical to its enforcement of the Voting Rights Act. The agency said the information was needed to get an accurate tally of the voting populations in regions where violations of the law were alleged. That request was immediately confronted with protest by lawmakers and activists, who questioned the timing and the motivation. 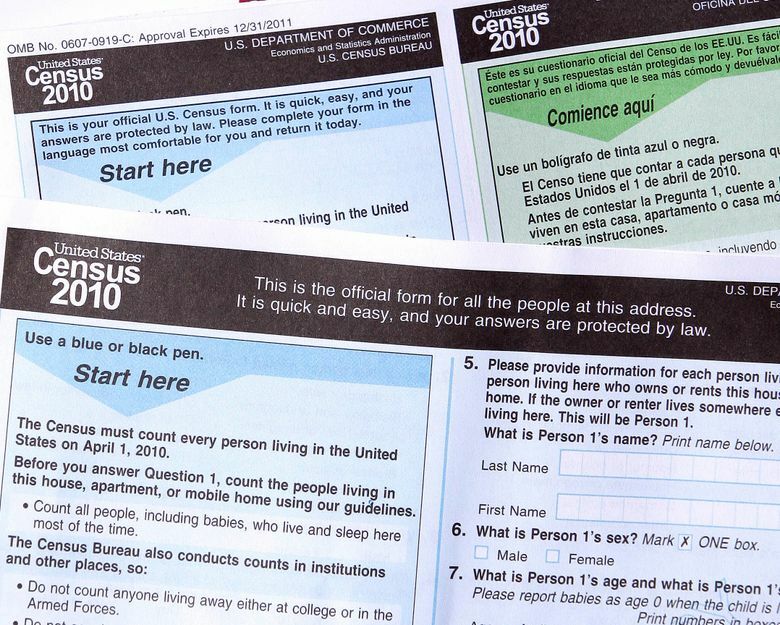 “Asking the citizenship question on the census is not critical to enforcing the Voting Rights Act,” said a statement from former U.S. Attorney General Eric H. Holder Jr.
“No one provided evidence that there are residents who would respond accurately to a decennial census that did not contain a citizenship question but would respond if it did,” Ross wrote. If the question does lead to an undercount, the effects could be profound. The census is used to allocate nearly $700 billion in federal money. As many as 16 states are positioned to either lose or gain a congressional seat, depending on the census results. Before Ross even announced his decision, 19 attorneys general had urged him to reject the citizenship question. All the Democrats on the Senate Judiciary Committee have written the Justice Department questioning its motivation, saying they are “deeply troubled” by the request and the impact it would have. California is among those that could be hurt most. The state has 53 seats in the House, the largest delegation of any state. But it is at risk of losing one of them to states whose populations have grown faster over the last decade. The census results also factor into how political districts are drawn within California. The state’s population is already one of the most difficult to count, according to the Public Policy institute of California. About 75 percent of Californians belong to groups that the census historically undercounts, including Latinos, African Americans and renters.